On behalf of everyone at Williamsburg Memorial Park, we’d like to thank those who joined us Monday, May 25th as we paid our respects to the men and women in uniform who made the ultimate sacrifice to protect our freedoms, our people, and our way of life. 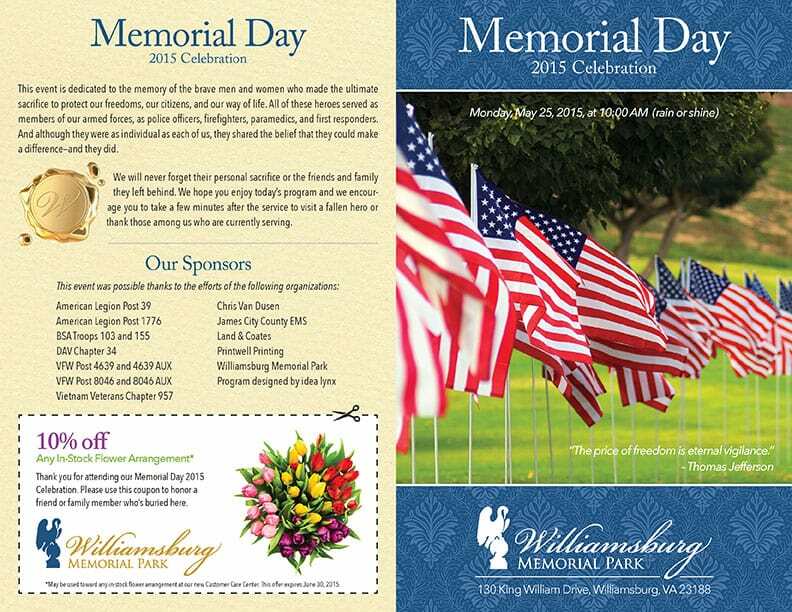 For more than 10 years, Williamsburg Memorial Park has been a proud sponsor of this event and it’s an important tradition we look forward to sponsoring next year. Click on the image below for a PDF of the 2015 program.